Mohair is sharp, mohair is elegant, mohair is formal, mohair is young at heart. Harrisons Cape Kid mohair fabric is awesome. It is not your father’s mohair which was stiff and thick and brittle. This mohair has flow to the fabric and it is sleek and supple. At 60% summer kid mohair and 40% merino wool content, the fabric’s luster is beautiful. Featured here, a mid-blue single breasted, peak lapel suit that takes belt loops. 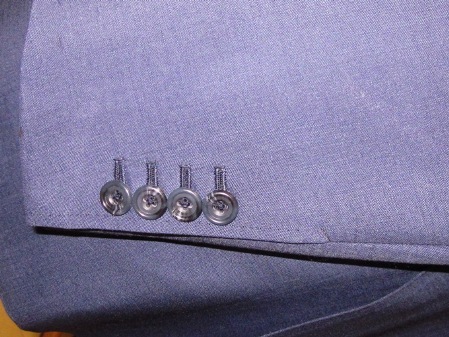 Because this is a minimalist’s sort of suit, it has a one button jacket fastening. A more typical color is a mid grey to charcoal (even black) solid. In its Cape Kid Mohair range, Harrisons offers many different shades of brown, beige, grey, blue and blue-grey. Mohair is known for it’s ability to take dye colors exceptionally well. Irrespective of the color one selects, due to the manner in which its straight fibers reflect light, mohair combines that slight sheen and sparkle, like silk, with the comfort of wool that makes the fabric appropriate for both city and night life. Worn with a white shirt, a Van Buck Limited Edition tie (even sans necktie) and black shoes it is genteel evening formality. Shoes must be plain looking, no brogues, with either a chisel toe or toe cap; black Chelsea boots seem especially appropriate. Worn with brown suede shoes and a pastel abstract print shirt it becomes Lounge lizard chic; very cool. The jacket worn separately with jeans and a blue shirt with a grenadine, knit silk or a soft cashmere tie is an amazing half-dress Friday look. The midnight blue version makes a smashing dinner jacket. In an age where men are trying to express their individuality and still remain respectable, this fabric delivers. My favorite cloth merchant, Harrisons Of Edinburgh is fast becoming friend to both dandiacal expression and serious professional all around the world. Made for me by master tailor Nino Corvato of New York City. Nino makes a suit in the American natural shouldered tradition but gives the jacket an English chest and waist suppression, then completes the masterpiece by finishing it to Italian standards of perfection. 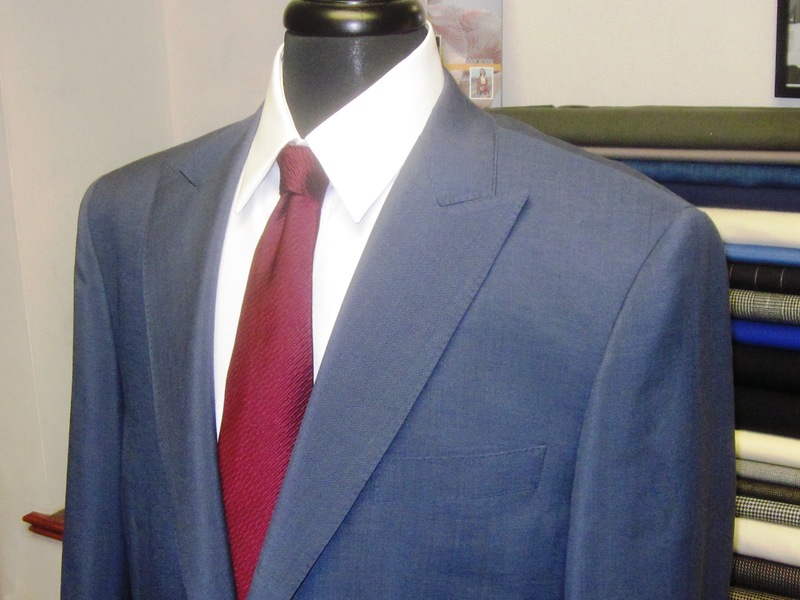 His suits are supple, soft and lightweight but the construction is both robust and hard wearing. “Always had a special place in hearts of the English – from the Beatles to the James Bond films of the 1960’s – mohair has always been a bit Holywood. 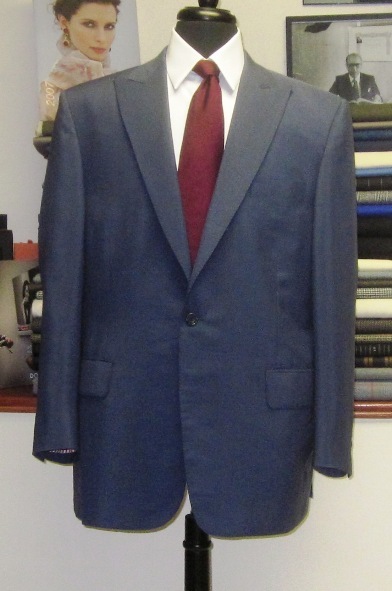 It’s a favourite amongst tailors, and also the discerning client who knows his cloth and understands that a mohair is a must have in his wardrobe. 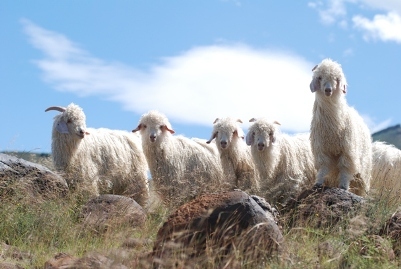 Cape Kid is made using Summer Kid mohair – which means that the Mohair Goats are cropped in summer, when the climate is hottest and therefore the fiber will be at its finest. This creates two problems – firstly there is a shorter season for cropping the goats, which consequently means that whatever is produced is very expensive. Mohair would not be the first choice for a client having his first bespoke suit – it’s a fabric you learn to love – it’s a dressing up suit, a going to a party suit, but one can feel just at home in it at the office. Mohair is quite crease resistant thus remember not to over press it and stay out of the rain which can cause the fabric to wrinkle. Great looking suit, FNB. I have been on the fence about Mohair but that suit may have pushed me off into a commission.